This examination of emigrant socio-economic integration into their host country examined six hundred classified adverts, seen as an authentic and representative source mirroring the daily emigrant struggle in Great Britain. 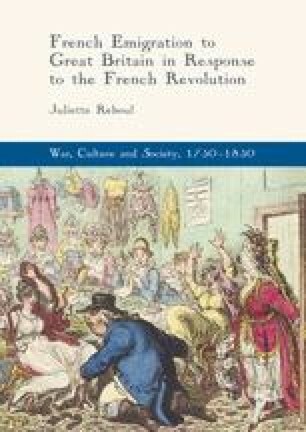 This chapter argues that beyond the promotion of services and goods, emigrant advertisers sold, and legitimized, the fading of the ancien regime civilization in revolutionary France, the disappearance of the French nobility as a dominant cast, and the trauma related to displacement. In the long term, these targeted selling arguments influenced British employers’ expectations of what, and who, an emigrant was.